Our two quadline kite designs, the Flame, and the O2 Flame are in the same family, but they have very different characteristics. 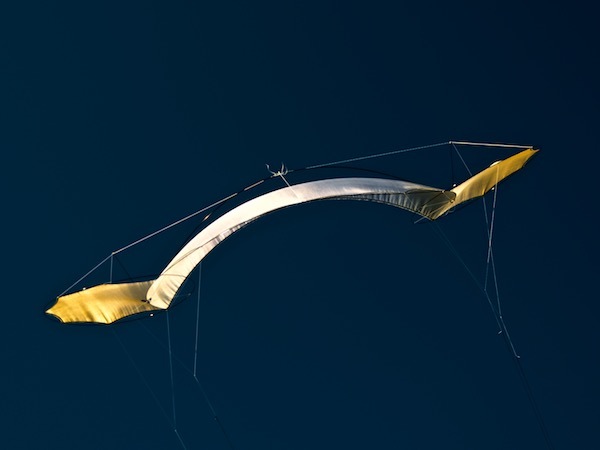 A quadline kite. The Flame is crisp, sensitive, wildly efficient, and designed around a specific style of smooth, organic, light wind flying. 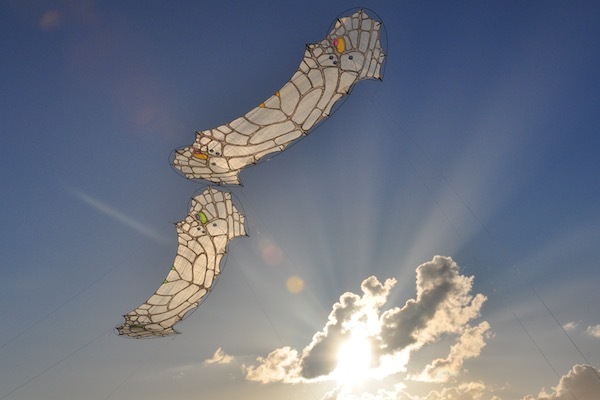 A magical quadline kite. Simultaneously soft and precise. 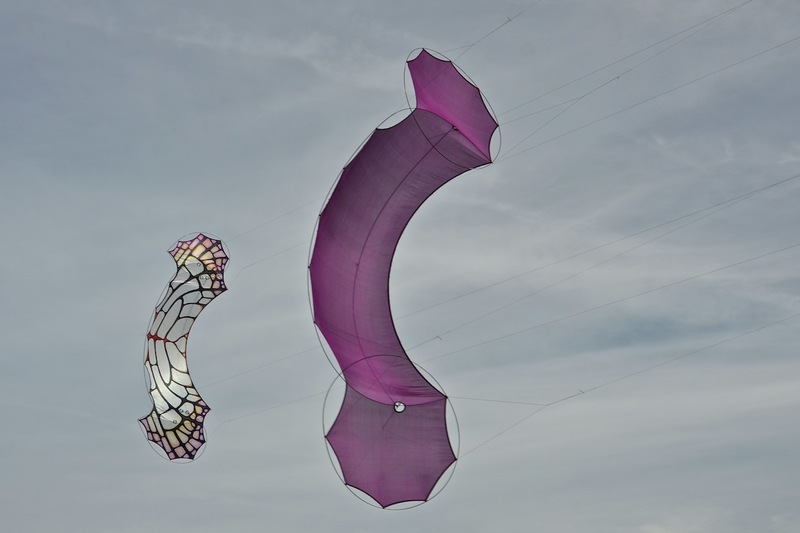 This porous, uncoated silk form breathes, flexes, and floats with per-millimeter control in a huge wind range. So stable it will quiesce with its controls held in one hand, and fly as a single line.